The word “routine” might leave a bad taste in your mouth if you’re an adventuresome risk-taker, a mover and shaker, or a leader who welcomes challenges, but it is exactly the word that can grease your wheels and keep you operating at peak performance. Not only will these five routines help you smooth the track, but they also can provide the stamina you need to boost performance without burn-out. 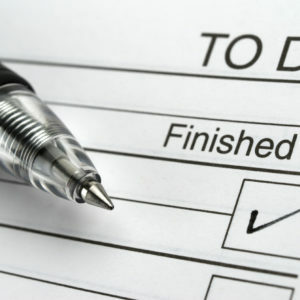 Schedule personal goals as well as professional tasks. It matters not what scheduling system you use, so long as you latch onto an easy way to log and monitor your daily planned activities. It helps to include friends’ birthdays or other reminders that safeguard your personal goals as well as your professional advancement. For example, when my grandson learned to read, I scheduled “write Patrick a postcard” as an all-day activity every Monday (meaning I was to do it at any time during the day). He got mail from his Nana every week, and that single little thing (which I would have started but never remembered to continue without Google Calendar) has served us both well over the years. There are so many things that would “only take a minute” but never get done because the minutes aren’t assigned. Make a “To Do and Reward” list. List making doesn’t come naturally for all personality types. If you think list making is more headache than heaven, then add a column for rewards. 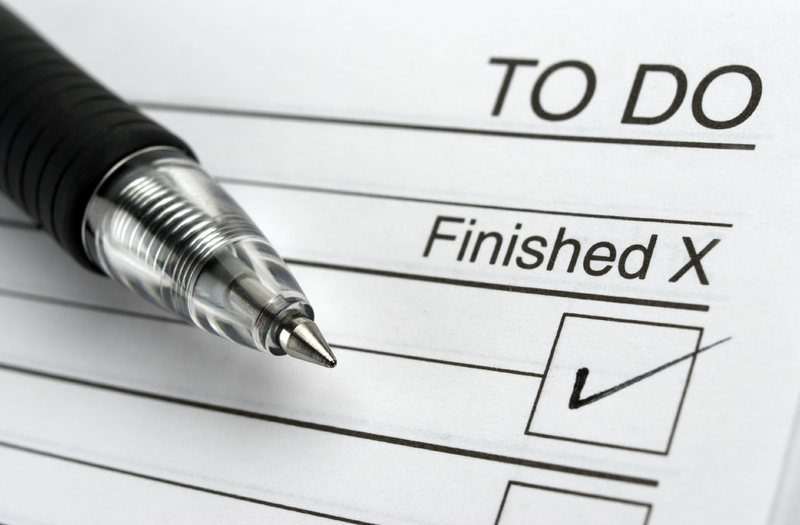 After you complete a big task or three less important, quick tasks, what’s the payoff? Pick small motivations – listening to a favorite tune or a quick jaunt around the building, a five-minute call with a friend or visit a favorite social media site for three minutes. The more odorous the task, the more pleasing the counterbalancing reward – that way you’re always ending a burdensome activity on a positive note. Redeem those rewards during breaks. Fatigued, bored, stumped or stupefied? That’s when you really need a shot of mindless fun! It’s a great time to watch a quick video that inspires you artistically or one that makes you laugh. Better yet, get up and moving around. How much fun is your rewards list? Prep for success. What lack of preparation or fore-knowledge could trip you up? Do you have an extra umbrella tucked away in your cubby or an extra $20 for delivery tips or office coffee runs? Have a backup phone charger or empty flash drive, postage stamps tucked away, or a business dress suit cleaned and ready for an impromptu dinner, meeting or interview? Do you have a small $1 flashlight within reach? If you train yourself to spend the last hour of your work-week cycle planning for the next week, anticipating anything that could go wrong and preparing for that possibility in advance, you’ll soon become the one in the office who’s “altogether” when it counts most. Say good-night, Irene. If you find sleep hard to come by, use or lose electronic devices. If you can’t bear the thought of disconnecting completely and leaving your devices in a more remote part of the home while you sleep, then turn off your email alert sounds and turn on a natural white noise like a soft rainstorm or ocean tide sound. There are many apps promising to relax you, but avoid the ones with self-guided meditation that cause you to “tune in” rather than “tune out”. Mindfulness is great for a midday break, but if you want a sound night’s sleep, pick a sound that will serve as a background for your wandering thoughts and deeper relaxation, not a foreground instruction demanding your attention. Regardless what approach you take, the better and longer you can sleep, the better prepared you will be for the next day’s activities. What routines do you use in your day-to-day life to keep yourself on track and productive?